Have you ever done a search on “Michael Butterfield” and “Coast to Coast”? Butterfield is exactly the type of person who has gladly APPEARED to advance his egomaniacal self on that show! Yeah I’ve seen that link before. It’s nonsense. A person with even the most bare bones level of critical thinking skills could recognize that saying someone possibly could have forged a letter is not on par with what the people at other Zodiac sites do, which is to flat out accuse people of mass murder. They do this with no evidence whatsoever. They even insist on coming up with wild schemes involving people who should never have been suspects in the first place, all on the basis of nothing except bizarre hearsay and theories from people not playing with a full deck. I’m not interested in personalizing debates about these subjects, and I don’t get emotionally involved with webmasters. I’m only interested in the facts. Since Zodiackillerfacts.com does not have any pet suspects which they are trying to fit the story around, it is much more useful to those studying and researching the case. Whether or not Michael Butterfield is perceived to be an egomaniac is irrelevant to me, as I’m only concerned with whether his site has the facts on it’s side. I think that like Ed Neil, Butterfield is genuinely interested in solving the case. I can also imagine how frustrating it must be for a long term researcher of this case to constantly have to dispel rumors and debunk nonsensical theories to the point where they would have a lower tolerance for that sort of thing than the average passerby. Gareth Penn’s blog, to about a dozen others. While some of them are interesting in their own way, ZodiacKillerFacts.com is by far the best source for legit information about the case, as well as the best place to participate in forum discussions that don’t officially sanction far fetched conspiracy claims regarding dubious suspects. Thanks for your comment though. Even though we disagree, it’s refreshing to get a comment that isn’t Russian spam. Just nonsense? Oh, and the thread accusing Graysmith of mailing a serial killer hoax through the U.S. Federal post? (Very serious charge by the way; ask the FBI) – The same thread that Butterfield has subsequently removed to COVER UP THE FACTS (“facts on his side” . . . “Best source of legit information,” you say?) – In that same thread, Ed Neil had his own posting that rashly & libelously accused Graysmith of fabricating and mailing the 1978 Zodiac letter (there was no “possibly could have forged” to be read between the lines from either of your two archetypes of the “genuinely interested in solving the case” researcher). You endorse Butterfield and his minions as “the best website for all things relating to the Zodiac Killer . . . . Don’t bother going to other sites.” Btw: I am familiar with every site you listed, and many more, but I’m neither member nor apologist for them. Your excuse for active membership at Zodiackillerfacts (read: endorsement of Butterfield, sorry but there’re no two ways of rationalizing out of that one) appears to be that he and his site are the lesser of other evils out there. A bare bones level of critical thinking skills would indicate that this is hardly the way to pursue facts or serious intellectual discussion on any topic – all the while lending credence to Butterfield’s “wild schemes,” and “bizarre hearsay” (not to mention his ego). Well, that’s all I need to say. Thank you. I’ll let you get back to your Russian spam. Just don’t be so hard on Obama, remember he’s but our Webmaster, and we are but inconsequential posters on the Web page of isolationist America. How many billions of U.S. money did I hear recently that Hosni personally has stowed away for his rock rainy day? Of course, Mubarak (“long time” dictator) is probably just an egomaniac, but that would be irrelevant. LOL! Saying that someone could possibly have done something, is not the same as accusing someone. If people couldn’t discuss hypothetical possibilities related to any of this, there wouldn’t be much to chat about. Also, Butterfield links to the thread you posted from the ZKF forum. It’s been discussed on there somewhere recently, but I can’t remember which section I saw it in. In any event, for someone like Butterfield who has been posting online for like 15 years…if that thread is the best his detractors can come up with, it’s pretty weak. There are a number of reasons he could have removed it, but my guess is that’s you assume it was to cover something up. I haven’t reached the same conclusion. Other sites are useful for various things. 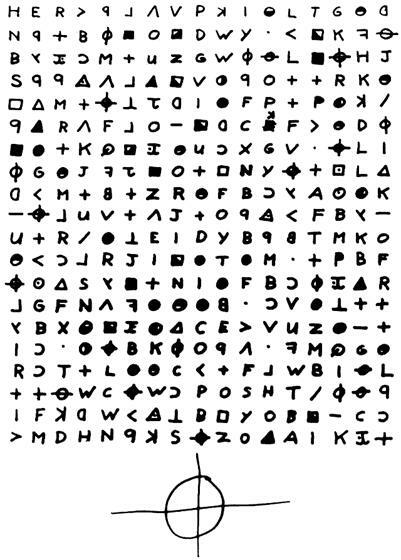 Zodiackiller.com for example is a good resource for documents. I haven’t paid the $10 to join the forums there, so I can only read the old archives…which feature a lot of interesting discussions between some of the folks being mentioned here. I’m turned off by that’s site’s taking Richard Gaikowski seriously as a suspect, as there is no evidence whatsoever and any reading of Blaine’s writings makes clear he’s a nutjob with no credibility….and when there is no evidence then credibility of the accuser is all one has to go on. Anyhow, I have enjoyed this exchange and really appreciate your interest in taking the time to comment. And yes it is a shame we give so much money to foreign corrupt governments(as well as non corrupt governments for that matter.) Perhaps one day our leaders, regardless of political party, will finally ask themselves the trillion dollar question of why on earth we give any money to other countries when we are in enormous debt and have none of our own. The odds of that happening are about as likely as finding the Zodiac. Come by, have a look, read about some of my recent experiments, dig into details about the ciphers, and play with cipher analysis tools. Despite what some people claim, only one cipher has been definitively solved so far. Come by and help solve the rest of them!